Universal Studios was founded in April 1912, and remains the oldest functioning American film studio. Carl Laemmle, Sr., is regarded as the founder and the company’s first president. 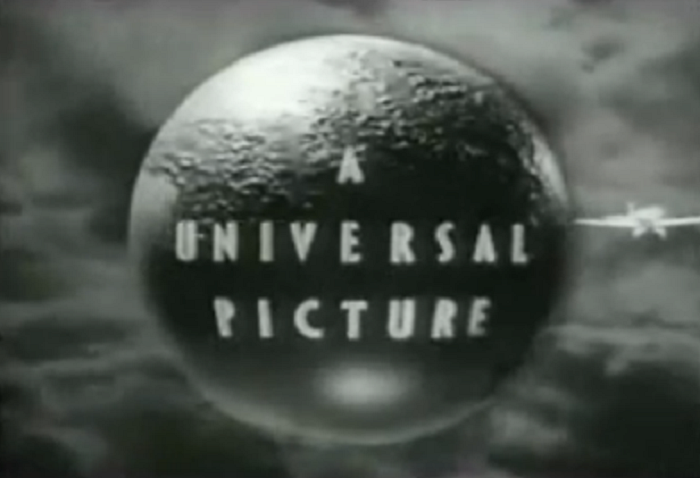 Universal, like many studios at the time, owned the production, distribution, and exhibition of their own pictures. 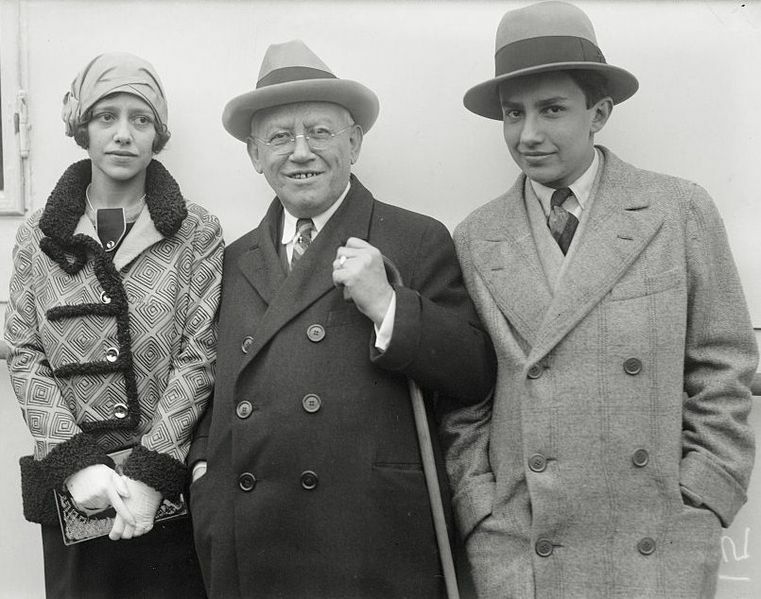 The Laemmles: Rosabelle, Carl Sr., and Carl Jr.
During the 1920s, the studio was mostly famous for a few lavish productions by Erich von Stroheim that almost bankrupted the studio. Also notable were its period films starring Lon Chaney: The Hunchback of Notre Dame (1923) and The Phantom of the Opera (1925). Universal was also the originators of Oswald, the Lucky Rabbit—the animated character Walt Disney and Ub Iwerks created and filmed until a salary dispute led them to found their own production studio with a new mousy mascot. Nepotism was a common policy at Universal when Laemmle Sr. passed his duties as head of the studio down to his son, Carl Laemmle, Jr. in 1928. The new president pushed for sound productions and prestige pictures, with the most notable product of this being 1930’s winner for Best Picture, All Quiet on the Western Front. 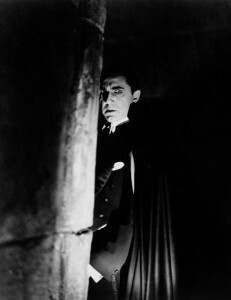 Bela Lugosi in Dracula (1931), the talkie start of the studio’s eponymous horror cycle. However, it would be the studio’s stylish horror movies that they’re best remembered for today. 1931’s Dracula with Bela Lugosi was a massive box office success, and its follow-up of Frankenstein with Boris Karloff also became legendary. This led to a series of fantastical horror films including The Mummy, The Invisible Man, Murders in the Rue Morgue, The Old Dark House, and The Black Cat, many starring Lugosi and Karloff, the two horror titans of the time. Laemmle’s obsession with prestige films would also lead to a number of acclaimed dramatic entries, like John Barrymore’s Counsellor at Law and the still beloved melodrama Imitation of Life, a Best Picture nominee. In 1936, after a production of Show Boat went over budget, the Laemmles lost control of the studio. It became a proprietor of mostly B-level pictures, usually borrowing stars and talent from other studios. Many mergers would continuously push the studio’s output in different directions, making Universal known for the comedies of Abbott and Costello, the melodramas of Douglas Sirk, some of the better disaster movies of the 1970s, and Steven Spielberg’s massive success of the 80s and 90s, like Jaws, E.T., and Jurassic Park. And while these movies continue to capture the public imagination, it’s without a doubt that when you ask someone about Universal Studios, the first movies that come to mind will involve some dear fellows named Dracula or Frankenstein. All Quiet on the Western Front (1930) – The studio’s first Best Picture winner. Dracula (1931) – This adaptation of the stage play made Bela Lugosi into a star overnight and helped to define the studio’s image as a purveyor of classy but creepy horror films. Frankenstein (1931) – James Whale’s first monster movie is considered by many to be the best Universal horror film. Its success helped to launch the career of Boris Karloff. The Mummy (1933) – Karloff’s follow-up to Frankenstein is a strange, haunting beat poem of love across death. The Invisible Man (1933) – James Whale’s second horror entry is more humorous in its bent and made a star out of Claude Rains, even if he’s only seen for a few seconds at the end of the picture! The Black Cat (1934) – The first teaming of Boris Karloff and Bela Lugosi in a weird, dreamlike horror film. The studio’s last explicit horror film of the era. Imitation of Life (1934) – A Best Picture nominee for the studio in 1934. Later remade by the studio in 1959 with Lana Turner with less success. 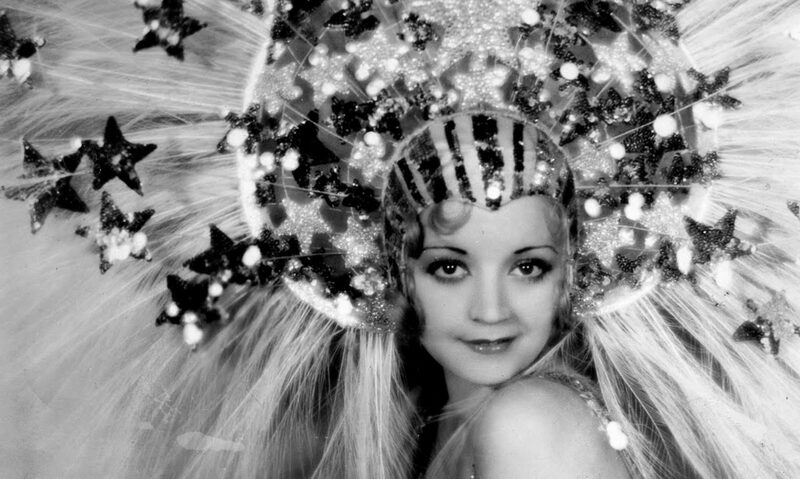 Universal released a pre-Code specific collection which included mostly Paramount films. For other releases, Universal usually pairs with TCM to release pre-Code offerings such as the Universal Rarities set, which, again, is mostly Paramount films.